Dean Shank, right, is working on his doctorate and spent a moment during the last OLLI class of the semester to discuss information on hypertension and aging. One of the most common responses when new retirees are asked what they intend to do with the next phase of their lives is, “I want to travel.” Many people in Centre County do that through the Osher Lifelong Learning Institute. 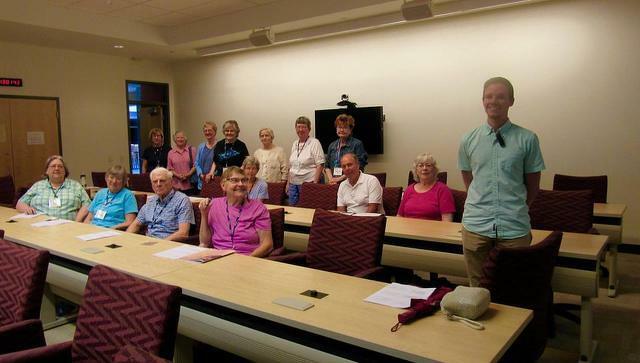 OLLI at Penn State has a new catalogue of offerings out for the fall semester, and travel is only one of the institute's many activities geared toward people 50 and older. There are no grades and no exams — it’s just about the enjoyment of learning. The institute was initiated by a group of 10 people who thought there should be a way for those no longer in the regular work force to be challenged. The original committee members were certain that such programs could also help older people stay mentally sharp and engaged with others. They were right; 20 years after its founding, OLLI has more than 1,200 members. OLLI courses number more than 300 and include lectures that involve a single morning or afternoon, as well as programs that continue over several weeks. Topics vary and there are learning experiences that involve agriculture, nature, history and just about anything imaginable. Other sessions involve fun adventures, such as a tour of a local bakery or a visit to a farm to learn about raspberries. "Our trips are very popular," said Judy Malick, who is in charge of them. "Right now, there is a waiting list for the Finger Lakes trip coming up in September. Trips range from one-day local excursions to multi-day international adventures. "One reason the OLLI trips are so popular is because of the planning," said Malick. "On an international trip with OLLI, you board a bus that takes you to the airport and deposits you at the entrance to your airline. When you return, a bus is waiting at the airport to take you home. This results in a less harried trip and no worries about parking or parking fees." Surveys sent after OLLI trips lead to more and different endeavors. “Anytime we do a trip, we send out the survey and the responses dictate future trips,” Malick said. “The No. 1 choice last year was for England. That trip is coming up Oct. 11 to 26." For more information, visit www.olli.psu.edu or call the OLLI office at (814) 867-4278. Bonnie Heebner Wagner would have been 56 years old on Friday. 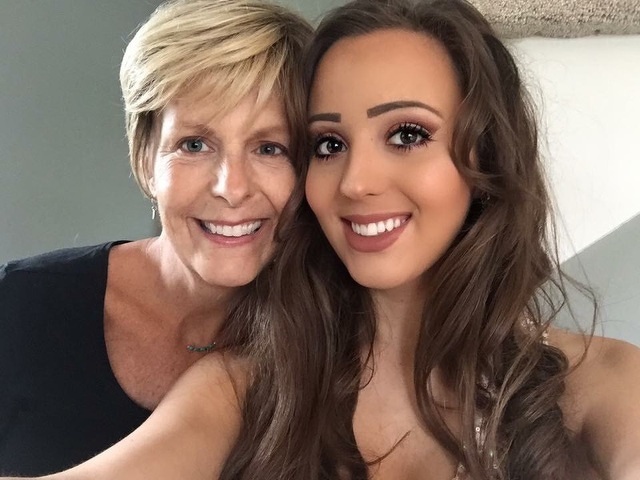 Last October, she lost her battle with cancer, leaving behind a daughter about to finish high school. Now, friends of Heebner Wagner are hoping to create a scholarship for State College Area High School seniors who lose a parent before graduating.